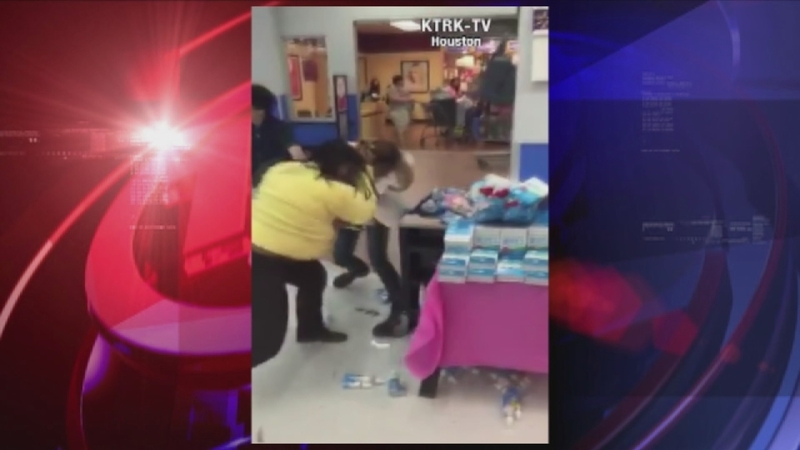 LA PORTE, TX -- A video is making its rounds on social media that shows a tax worker and a customer getting in a violent fight inside of a Walmart. Albitz told Eyewitness News that the two to in a verbal spat a day earlier when Albitz and her husband went to the Jackson Hewitt tax booth inside Walmart to file their taxes. Albitz was not their tax worker, but was just clocking in to work. "I turn around and said excuse me," said Albitz. "I did say something back. She came out of her cubicle and followed me to the entrance."